So I’ve just returned from a whirlwind tour of speaking engagements that have taken me around the world. I was invited as the Keynote Speaker for the Alberta Society of Plastic Surgeons annual meeting on Saturday Sept 28 in Banff Alberta. But I was also invited to speak as the guest lecturer for the Royal Society of Medicine Annual Clinic Day on Aesthetic Breast Surgery in London England on the following Tuesday,October 1. Since I was in Banff on Sunday morning, it didn’t make sense to return to Toronto and hop back on a plane to be in England on Monday. So the only way I could make it work was to fly directly from Calgary to London and then give my talk to the Royal Society the next day. It’s an amazing 9 hour flight that takes you practically over the North Pole. Needless to say the culture shock of going from Banff to London in one day was hard to adjust to. I made a lot of new friends in both Alberta and England. It’s amazing how plastic surgeons around the world are interested in the same issues. 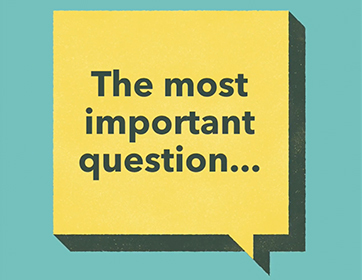 The Plastic Surgeons in both Alberta and England asked me to speak on the same topic… what is the best implant; round or teardrop breast implants. Every plastic surgeon wants to be sure that they are using the best implant for their patients. As you may know, there are now basically two different types of implants and two basic shapes. Implants can be either saline (salt water filled) or cohesive gel. Saline implants are always round. Cohesive gel implants come in two shapes, round or tear drop. Cohesive gel implants are made out of silicone. But these aren’t like the old silicone implants where the silicone inside the implant is in a liquid state. These new cohesive gel implants are solid silicone implants. They are often called the “gummy bear” implant because, like a gummy bear, they are solid. You can put a pin in them and nothing flows out. The gummy bear quality of these implants allows them to be made in either a round or teardrop shape. Teardrop shaped implants are also known as anatomic implants. The plastic surgeons in Alberta and London had the same question our patients have… which shaped implant gives the best look? The answer to that question can be found in two papers that my partner Dr. Ahmad and I have written for the prestigious Journal of Plastic and Reconstructive Surgery. 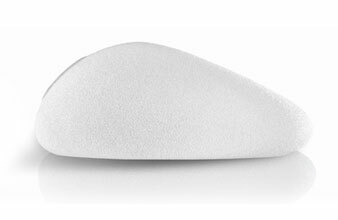 One paper reviews our results in 440 patients in whom we used tear drop shaped implants. The other paper is leading edge maintenance of competence review of the entire literature on breast implants. As plastic surgeons we used to tell patients that teardrop shaped implants give a more natural look. It made sense that an implant that has a more natural shape would give a more natural look. That’s what we believed, told patients, and what you still read about on many websites. However several recent studies have shown that not to be true. In one study they took pictures of patients who had undergone breast augmentation. Some had received round implants and others teardrop shaped implants. The neutral observers weren’t told what kind of implant had been used. The researchers showed the pictures to neutral observers and plastic surgeons and asked them to guess the type of implant. To everyone’s surprise, no-one could tell the difference between the round and teardrop breast implants. In another study the observers again couldn’t tell which implant was which but they rated the round implants as having the most natural look, felt that they were more beautiful and had the best looking upper pole. So it’s a big surprise that in most cases we can’t tell the difference between round and teardrop implants. And, to top it all off, the neutral observers thought the round implants gave a more natural, beautiful look to the breast. In addition other studies have shown that round implants have a lower risk of complication because they are less likely to turn and flip than teardrop shaped implants. Keep in mind however that there are certain situations, like tuberous breast deformity, or patients needing more fullness in the lower part of the breast, where teardrop shaped implants have a definite advantage. 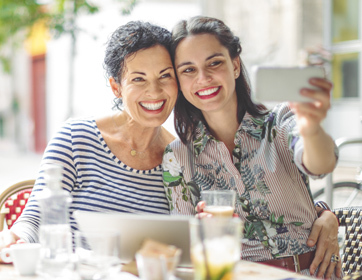 However in most normal patients, especially patients who need more fullness in the upper part of their breasts, round implants look just as good, if not better, than tear drop shaped implants and have a lower risk of complication. So what I told the plastic surgeons in Alberta and London is what I tell my patients… always use the implant that will look best, but if it doesn’t make a difference use what has the lowest complication rate and is safer. And you don’t need to fly around the world to learn that.